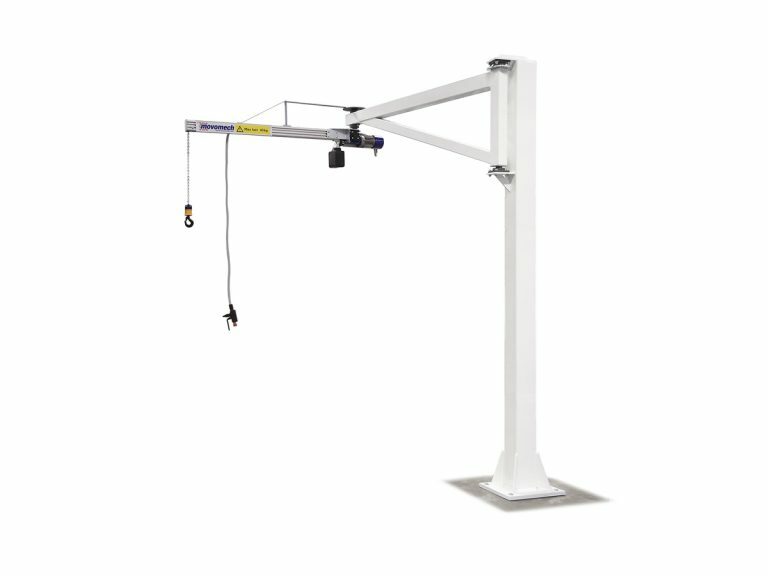 Mechcrane comprises an extensive selection of ergonomic jib cranes for column or wall mounting. 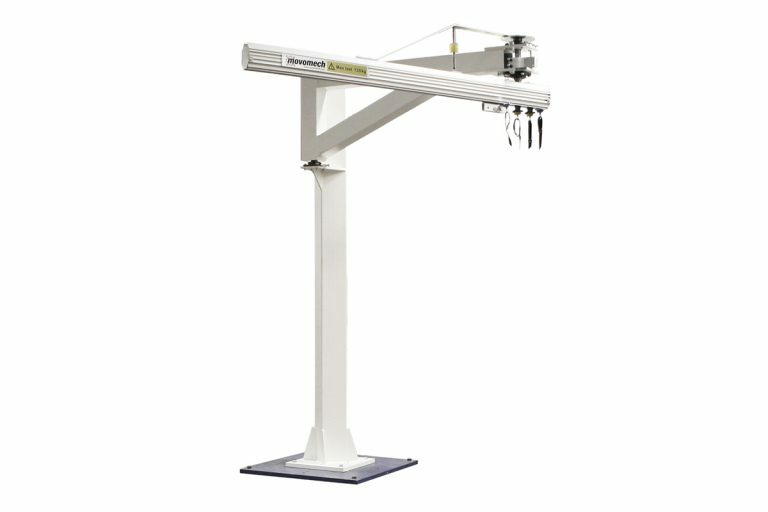 Mechcrane™ comprises an extensive selection of ergonomic jib cranes for column or wall mounting. 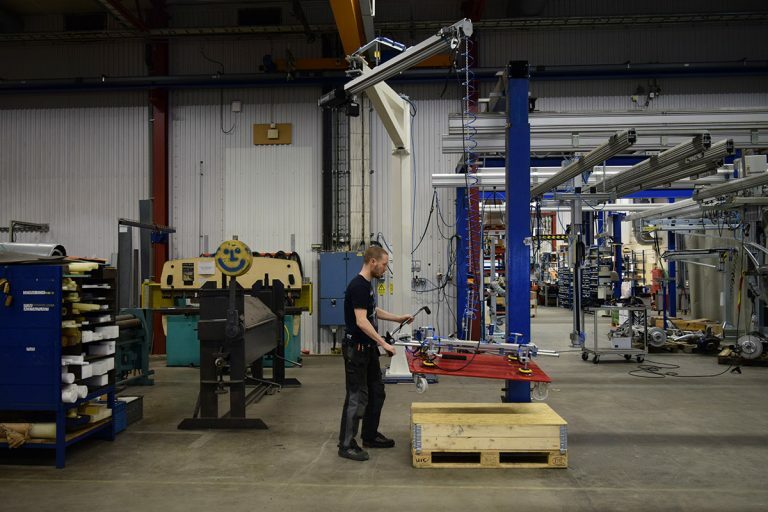 With a max load capacity of up to 250 kg and an operating radius of up to 6 metres, there is a Mechcrane version for the handling needs of most sectors and work environments. 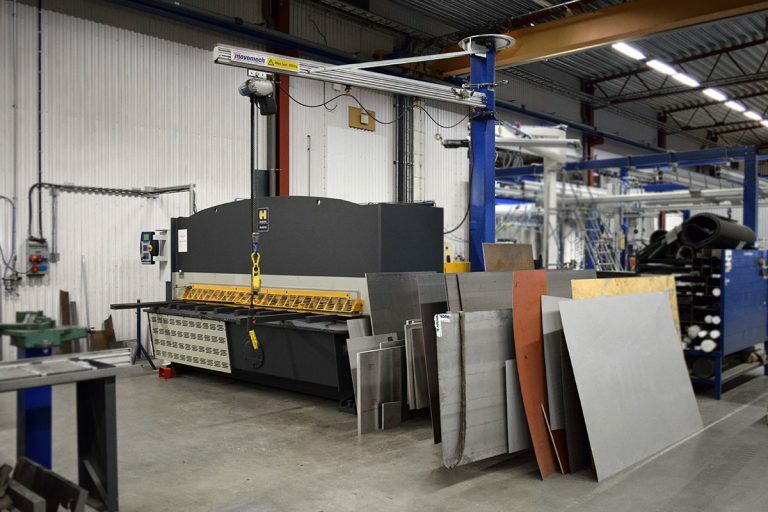 The crane arms (excl. 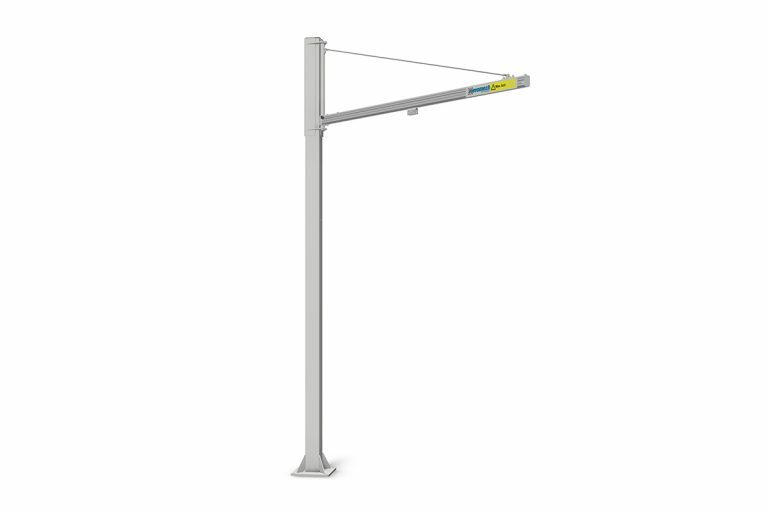 Mobiarm) are made of anodized maintenance-free aluminium profiles from Mechrail’s rail system range. 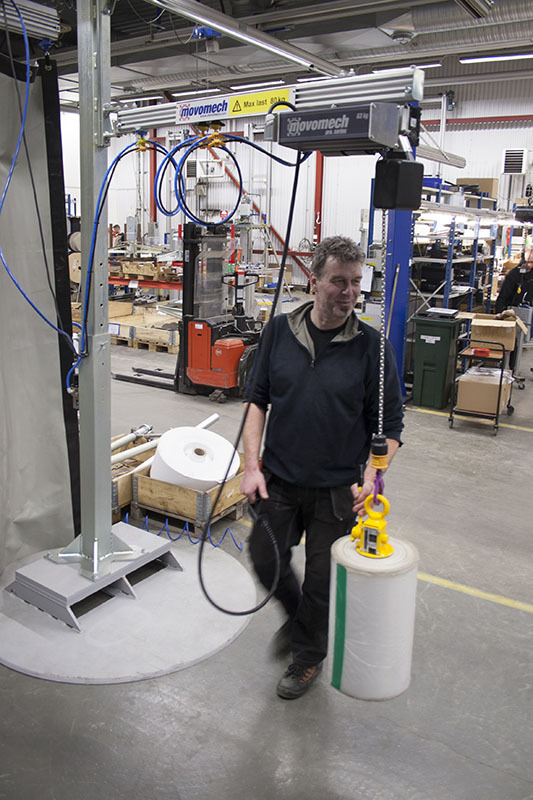 In addition to aluminium offering very lightweight and ergonomic handling, the cranes come with a wide selection of standard accessories available in the Mechrail range. 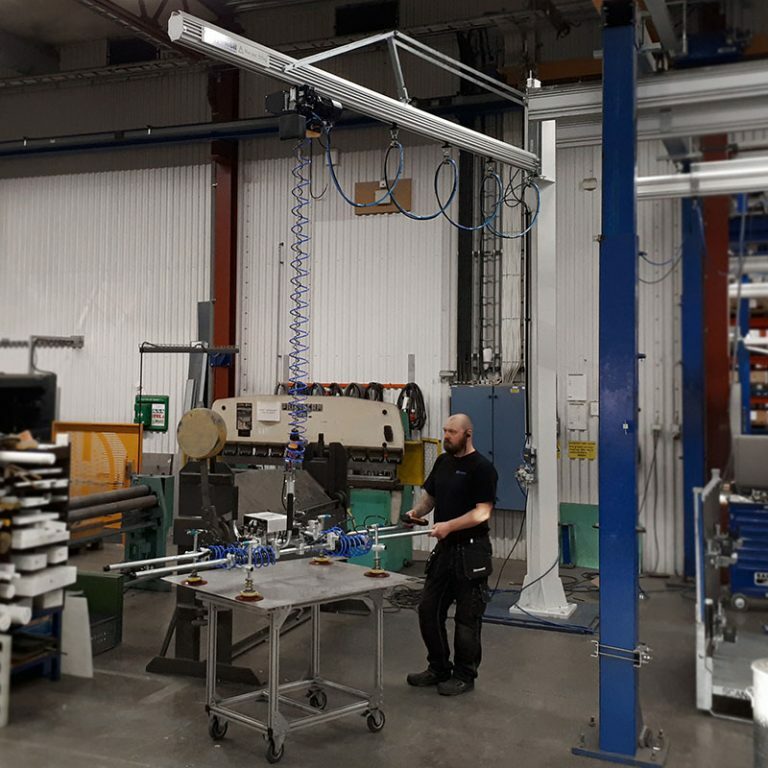 A jib crane is an economical and practical solution for ergonomic handling even in confined spaces, where a celining-mounted traverse system can not be installed.